cGMP Design and Construction – Best Practices - Hereva Consultants Inc. Most of my career in the planning, design, construction, and operations of buildings has been in the pharmaceutical research & development industry. For nearly 15 years, I was fortunate to work for a corporation who valued functionality, flexibility, and design in (nearly) equal regard – and had the leadership and resources to back it up. Large projects – regardless of geographic location – were marked by creativity, technical complexity, multi-dimensional stakeholder management, and collaborating with exceptional third-party partners in architecture, engineering, lab planning, and construction management. Having transitioned to supporting the design and construction of current Good Manufacturing Practice (cGMP) facilities, I can say with certainty that there are many similarities to managing pharmaceutical research & development projects: creativity, multi-dimensional stakeholder management, and working with exceptional third-party partners, for example. The most striking difference is in the area of technical complexity. This difference is driven by the nature of the activities that take place within the cGMP facility, and by the fact that cGMP regulations are enforced by the U.S. Food and Drug Administration (FDA). Although there is sufficient flexibility in the cGMP regulations to allow individual companies to decide how to best monitor and control their processes in order to ensure a safe, high-quality product, the obligation for robust quality and risk management programs remains. Consequently, the technical team on a cGMP project typically expands to include process engineers, automation experts, and commissioning, qualification, and validation engineers, all of whom need to be brought into the greater team structure – and managed. It is my firm belief that any project – regardless of size and technical complexity – will benefit from basic pre-project planning tenets. The larger and/or the more complex the project becomes, the greater the need for a disciplined and deliberate project management presence to manage communication and maintain control over cost, schedule, and quality. In my experience, the most successful projects take time to plan and organize well ahead of project kick-off. That means working with senior leadership in creating a strategy that is unambiguous, defined by a project scope that is clear, and supported by a team structure that is scalable. Additionally, the execution plan must be intuitive and “efficiently flexible” to allow for the full exploration of those great ideas that always arrive at the wrong time. This is not to say the entire project should be planned out in great detail prior to kicking off, as business conditions likely preclude that from happening. However, it is essential to achieve an effective “rolling start” with carefully thought out and disciplined planning. In the case of cGMP projects, the early work put into defining strategy, structure, and the execution plan sets the stage for the selection of qualified partners. With a clear understanding of the overall scope – and how that scope might be sub-divided – the owner’s team can begin canvassing the industry for partners whose strengths line up with the project demands. This practice is also helpful in guarding against the selection of sentimental favorites which may result in a skills/needs mismatch that could lead to unseen and unpleasant consequences further down the project timeline. This effort, in-turn, allows for the creation of clear contract relationships and reduces the likelihood of scope overlap, or worse, scope gap. 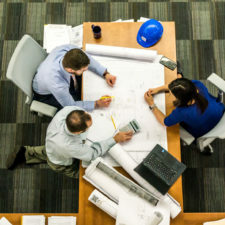 While the notion of defining scope responsibility is aimed primarily at third parties, it can also be applied to the owner in the form of a decision matrix; knowing who within the owner’s organization is making which decisions helps provide an external structure the project team can use to build their plans. Even when pre-project planning has been done well, there is always the risk that the project team and/or the owner will be lulled into a false sense of security. When a well-organized project is successfully kicked off, timelines always appear luxuriously long, and budget contingencies unnecessarily generous – but the practiced and sensible project manager will vigorously defend scope boundaries and contingencies, knowing the challenges the team may encounter down the road. Brian Lynch is a project executive with years of dedication to the life sciences industry. His authentic and collaborative leadership style engages all stakeholders; coupled with his disciplined problem solving, he delivers an exceptional project experience to his clients. To read more about Brian, click here.